← Just the Best Wings Ever……. 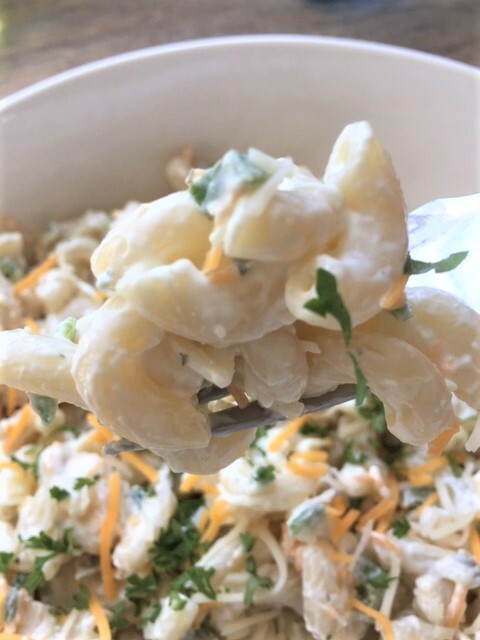 I have never been much of a macaroni salad fan. The only one I really like is one that I make with tuna in it. But otherwise, not so much. I recently came across a recipe that intrigued me because I love, love, jalapeno poppers! 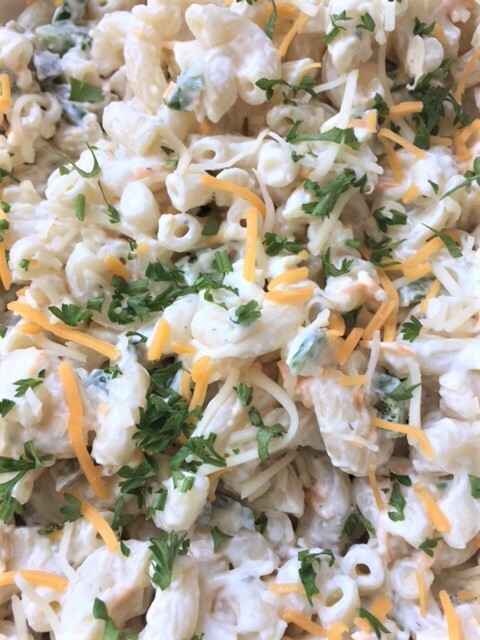 Mm–m-m-mm-m. Sure nuff, this mac salad tastes like a jalapeno popper. It has the jalapeno of course…..and the cream cheese….so good. I bet it would be good with some crumbled bacon! I may try that next time. Now, the recipe does call for some sour cream. I was out of it, but I had some green onion dip on hand. So, I used that! Perfect. This would be a great potluck dish. I hope you will make it. Enjoy. Cook macaroni until just done. Don’t over cook. Drain well. Dump macaroni into a large mixing bowl. In another bowl, mix together the cream cheese, sour cream, lemon juice, mayonnaise, garlic and green onion. Add this mixture to the drained macaroni, along with the jalapeno, serrano and shredded cheese. Mix together gently. Cover and place it in the refrigerator to chill. Since pasta tends to soak up sauces and dressings, you may have to add a bit more mayonnaise before serving. Optional: Sprinkle with bacon pieces. Hi Jeanie, it is indeed!! 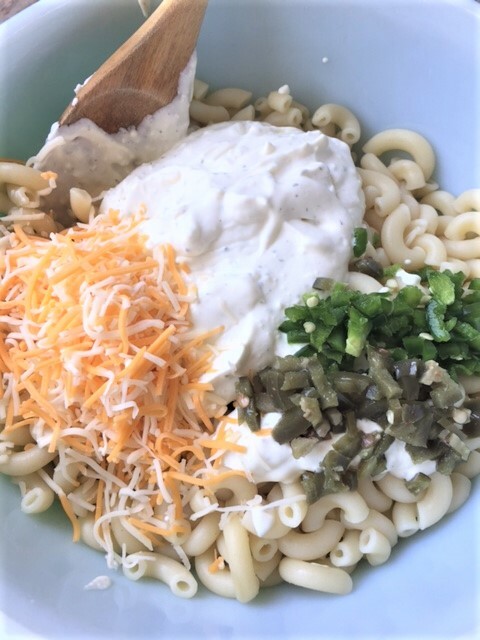 You may want to split a jalapeno in half, with with cream cheese and put it on top of the mac salad. looks purty.